Get that kettle on and turn the phone to airplane mode. 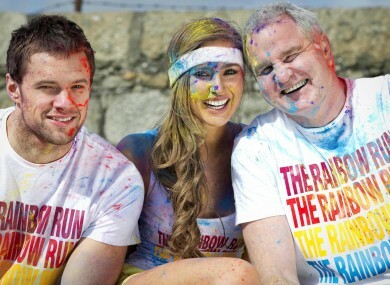 Bressie, Roz Purcell, and Brent Pope this week. Ewan MacKenna on not being able to find a pub in Tralee showing the national league final and the ‘erosion of our culture’. The Guardian’s David Conn on how the Glazer’s have won the long game at Old Trafford. 3. “Every night, in the worst of winter, he pulled on his trainers and tracksuit, plugged in his headphones, lifted his hood and went out for his healing walk. He is too self-contained to have felt lonely trudging into the blackness. Anyway, his walk was usually preceded by a quiet rap on the door. ‘That’ll be Quinny,’ O’Connell would murmur to his wife, Emily. Their young son, Paddy, had been put down to bed hours before: it was time for O’Connell’s nightly ritual. Amid all the hype about the Lions tour, that kick in the head and his subsequent non-citing, Paul O’Connell sat down with Donald McRae. Wesley Morris on one American sport star’s casual coming-out this week. 5. “In late February, I flew to Alaska with the intention of following the 2013 Iditarod all the way from Anchorage to Nome. This was a plan of — I think I might be quoting my editors on this — questionable sanity, even before you consider the logistical complexity of chasing several dozen sled-dog teams across a subarctic wilderness the size of the Eastern Seaboard. That’s not an exaggeration, by the way: There’s disagreement over how long the Iditarod Trail really is, but the best estimates peg it at right around the distance from Carnegie Hall to Epcot. The fastest mushers take around nine days to reach the finish line, and that’s assuming ideal conditions, say 15 below, with blue skies and hard-packed, ice-slick snow. I was staring at a week and a half of bone-deep cold, probable-verging-on-inevitable blizzards, baneful travel conditions, and total isolation from the civilized (read: broadband-having) world. I hate snow, do not play winter sports, keep the thermostat at 65 on a good day, and haven’t logged out of Spotify since 2011. I’m not even a dog person. Brian Philips of Run of Play headed north to follow the famous sled dog race for Grantland. It’s one to read with a mug of tea. Email “Dog sled racing, the Glazers and Paulie in a hoodie... the week's best sportswriting”. Feedback on “Dog sled racing, the Glazers and Paulie in a hoodie... the week's best sportswriting”.